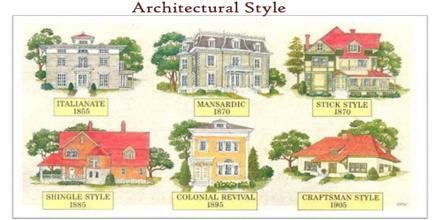 Architectural Style is a manner of expression. It is the vocabulary use when it classify buildings according to their appearance, structure, materials, and historic period. It may include such elements as form, method of construction, building materials, and regional character. Architectural Style is sometimes only a rebellion against an existing style, such as post-modernism, which has in recent years found its own language and split into a number of styles which have acquired other names. It explore harmonious ideals, Mannerism wants to take style a step further and explores the aesthetics of hyperbole and exaggeration.